Situated in Maienfeld, this golf hotel is within 1 mi (2 km) of Lampart Winery and Tamina Thermal Baths. Tamina Gorge is 1.7 mi (2.7 km) away. Maienfeld Station is 5 minutes by foot and Bad Ragaz Station is 28 minutes. 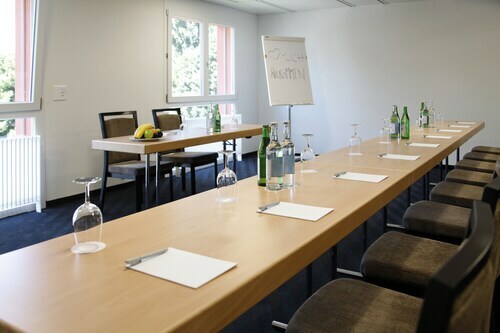 Located in the heart of Davos, this hotel is steps from Eau La La Wellness Center, Davos Klosters, and Davos Congress Centre. Kirchner Museum and Vaillant Arena are also within 10 minutes. Davos Dorf Station is 18 minutes by foot and Davos Platz Station is 20 minutes. 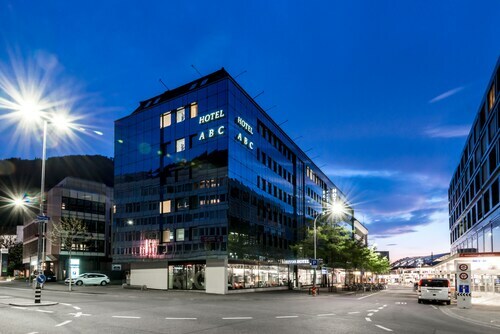 Located in the heart of Chur, this hotel is steps from Bundner Museum, Rathaus, and Gigerplatz. Rhyetian Railway Building and St. Regula Church are also within 5 minutes. Chur Station is 7 minutes by foot. 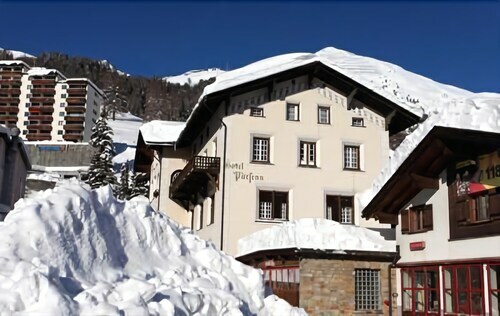 Located near the slopes, this Davos hotel is in the mountains, within a 15-minute walk of Davos Klosters and Davos Congress Centre, and close to winter sports such as skiing lessons. Davos Casino and Davos-Schatzalp Gondola are also within 5 minutes. Davos Platz Station is 10 minutes by foot. How Much is a Hotel Room in Maienfeld? 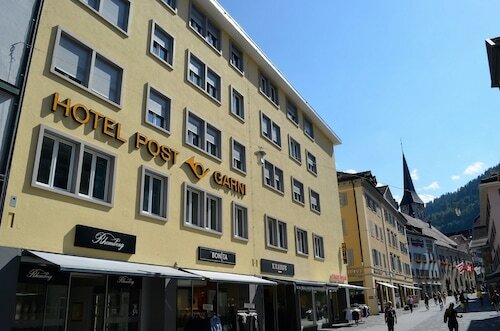 Hotels in Maienfeld start at $114 per night. Prices and availability subject to change. Additional terms may apply. If you are researching an adventure in Graubuenden and desire the perfect place to rest and relax in Maienfeld, you can find a diverse range of options. You'll be able to pick and choose from approximately 11 hotels within a convenient driving distance of Maienfeld's heart that are featured in Travelocity's booking portal. 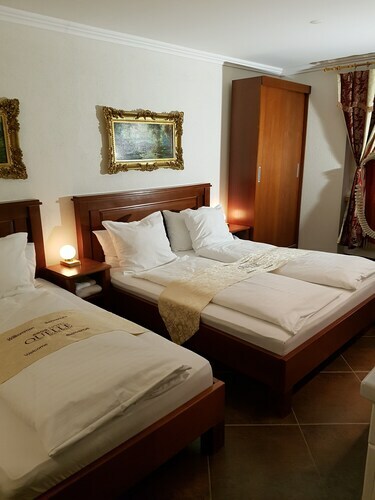 The Swiss Heidi Hotel is the closest Travelocity hotel to the center of Maienfeld and is located merely a short drive away. You could investigate the Sporthotel Valsana as well as the The Excelsior Hotel. The Sporthotel Valsana is only 18 miles (29 kilometers) from the middle of Maienfeld. The The Excelsior Hotel, can be found just 18 miles (29 kilometers) away. Alternate hotels and apartment options are the Grand Resort Bad Ragaz and the Steigenberger Grandhotel Belvedere. The broader Southern Switzerland area is certainly well worth seeing too. Southern Switzerland boasts forests and mountains, and other interesting visitor sights are traditional villages and fortresses. Daring visitors might involve themselves in snowboarding in the region. Are you looking for things to do? Consider spending a day or two exploring Arosa Ski Resort and Ski-Club Arosa, in Arosa, 18 miles (29 kilometers) to the south of Maienfeld. Should you wish to get to Arosa, be sure to check out the Tschuggen Grand Hotel and Golf- & Sporthotel Hof Maran. Or, stay the night in Sankt Moritz-Bad, 40 miles (64 kilometers) south of Maienfeld, where you can pick from the Carlton Hotel St Moritz and Kulm Hotel St. Moritz. The San Karl St. Moritz-Bad Church and Casino St. Moritz are a couple of the most popular attractions to experience should you visit Sankt Moritz-Bad. If you can't stop thinking about sport and love watching thrilling games be sure to get yourself to AFG Arena, situated 30 miles (47 kilometers) to the northwest of Maienfeld. Modern visitors that hope to book a Travelocity-listed hotel near the stadium can compare the Hotel Säntispark or the Sporting Hotel. St. Gallen - Altenrhein Airport is a major airport for those flying into Maienfeld. It is located 30 miles (51 kilometers) from the downtown area. 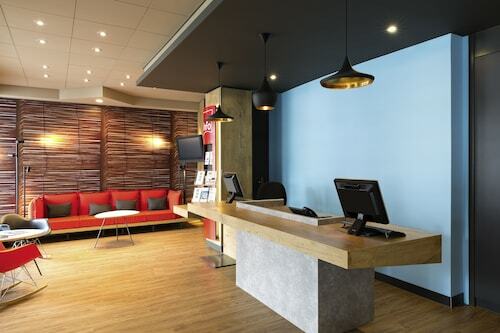 For travelers who hope to find a base nearby, check out Hotel Heiden Swiss Quality or Best Western Hotel Rebstock. Comfortable hotel in town, not far from train station. The manager was very good about accommodating our early arrival. Hotel was conveniently located to local shops and food. Hotel was easily accessible from the Chur West train station. Basic room, friendly staff. 5.0 quick overnite, early departure, staff worked to give us food for the road. Great place, easy walking to train, centrally located for touring an incredible historic city.